Wyoming state law requires cash advance lenders to be licensed. Lenders must provide borrowers with a written contract that specifically outlines all of the charges and fees; the contract must be written in clear and comprehensible language. The borrower has the right to cancel the agreement at any time. At the point of cancellation, the lender has up to 20 days to return the borrower’s payment. All finance fees may be paid in installments for no additional fee. 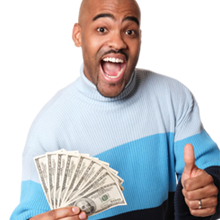 The number of outstanding payday loans borrowers may have at any one time is not stipulated. While civil action is allowed, payday advance lenders may not pursue criminal action against a borrower. Wyoming law does not permit extensions or rollovers. Finance fees can be set at $30 or 20% per month of the amount borrowed - whichever is greater.